One of my goals for this year is to avoid using cleaning agents with chemicals and return to organic cleaners.They aren’t good for the environment and with Kevin’s allergies the less chemicals I use the better. 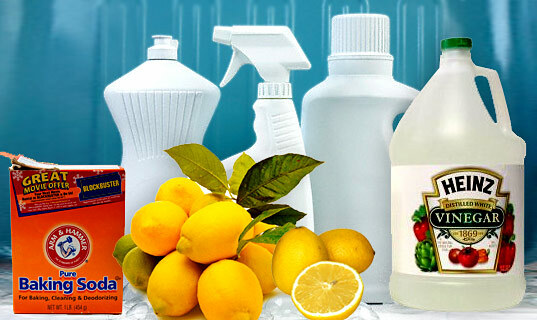 When we bought the house seven years ago, I had planned to use everyday items like white vinegar and baking soda to clean with, but eventually found myself gravitating back to the popular often used chemical laden products. So, I am renewing my desire to leave those things out of our home. 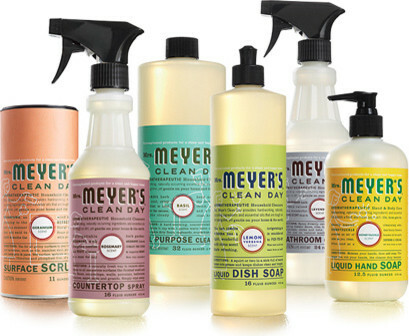 A few of my favorite organic cleaners are Meyer’s, and Seventh Generation. I also really like Method. However, when I do not have any of these on hand, I reach for white vinegar, water and baking soda. These three things will clean anything. You can add in fresh lemons, tea tree oil or lavender. These essential oils offer their own unique properties. Tea tree oil is a natural disinfectant, lemon is a natural anti-bacterial and lavender, well lavender just smells great. If you have only one cleaner in your arsenal, the best one to have is an all-purpose cleaner. One easy disinfectant spray to make uses plain H2O, a natural soap like Dr. Bronners, tea tree oil and lavender oil. Mix 2 cups of water with a few drops of natural soap and 15 drops of organic lavender and tea tree oil in a spray bottle. This is fabulous for counter tops, cutting boards, sinks and just about any surface. Just don’t use it on windows. It will streak and leave your windows looking horrible. You can use a mix of white vinegar and water to clean your windows. Your house and family will be thankful you switched to organic cleaners rather than use products with names you can’t pronounce. Even better, you won’t be inhaling noxious fumes while you clean either. I love this idea! I wonder if you have an reccomendations for produce wash… for some reason I’ve become sort of phobic about the peels and skins on fruits and vegetables… wanting to eat them for nutrtive properties and wanting to discard because I’m creeped out by germs.